By Paula A. Price, Ph.D. This is my favorite tool for interpreting both dreams and visions. In addition, the author exposes ancient religious seductions and how they have infiltrated movies, television, and books. 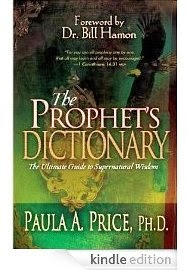 Prophetic visions and clues to interpreting their symbolism, imagery, and signs are also included. People from all walks of life can benefit as this book aids in the understanding of what may be expected from prophets or the prophetic ministry. Delve deeper and you will find much more. God speaks to us today! www.NWPBooks.com and www.facebook.com/NWPBooks are great places to find good books that will help you grow. Feel free to share them with your friends. NWP-Books is a participant in the Amazon Services LLC Associates Program, an affiliate advertising program designed to provide a means for sites to earn advertising fees by linking to Amazon.com. An Update. And a Request. Please feel free to share with others who might be interested in good books. Picture Window theme. Powered by Blogger.